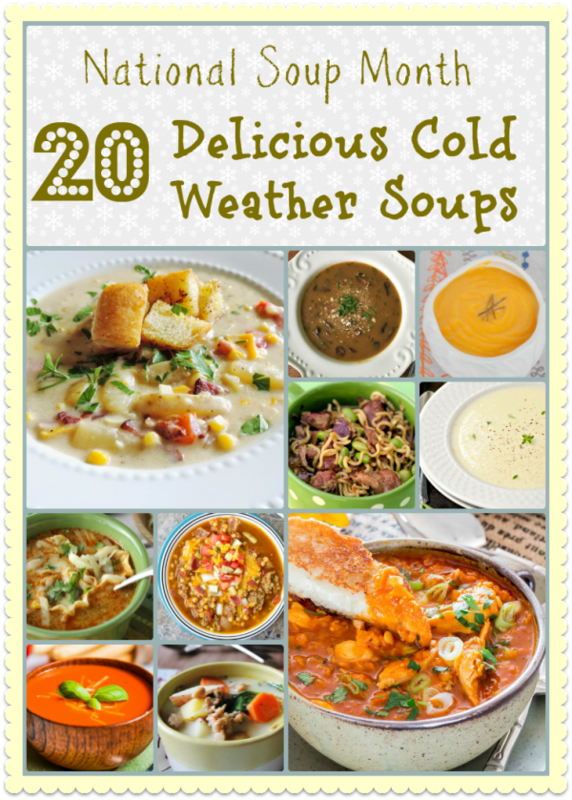 Delicious Cold Weather Soups are on my radar right now. Actually, I like a good bowl of soup any time of the year, but during the winter or colder months, soup is the perfect food. In fact, if you didn’t know, January is National Soup Month. 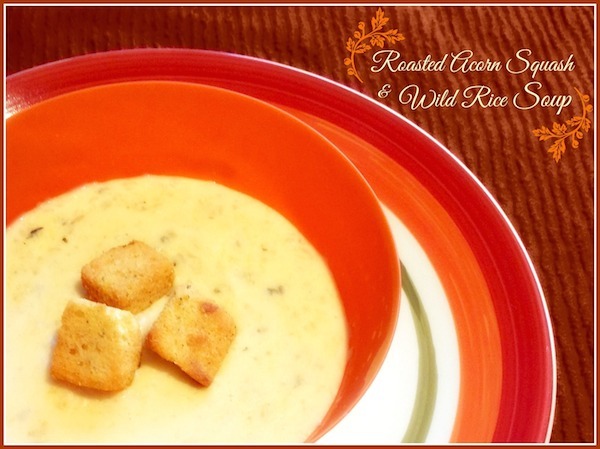 It makes January a great time to try some new soup recipes. Two of my favorites that I’ve shared on Blog by Donna before are this Smoked Sausage, White Beans, Kale soup — it is so delicious and this yummy Roasted Acorn Squash and Wild Rice Soup. Everyone has a favorite soup, mine is potato, my husband’s is tomato, and well, my son is still trying to find his, but most everyone loves soup. Cold weather soups are a comfort food. It’s a bowl full of warmth on a cold day. Well again, I did not know that there is a National Soup Month!! It should be in January because nothing warms a body up like a good hot bowl of soup!! It is no secret that I love soups & make them when I can. I am going to checkout everyone of the 20 soups above – THANKS!! Ok #1. I didn’t know it was national soup month and as a self proclaimed soup addict, I’m a little disappointed in myself. And #2. I don’t know which one of these recipes I would try first! I want to try the Pork and Edamame soup and the Red Lentil and Chicken soup. It makes sense that January is national soup month.